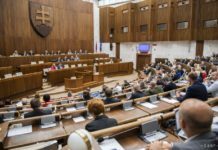 Bratislava, March 10 (TASR) – I hope that rightist politicians have moved another step forward towards a broad rightist coalition with 87 seats [in the 150-seat House – ed. 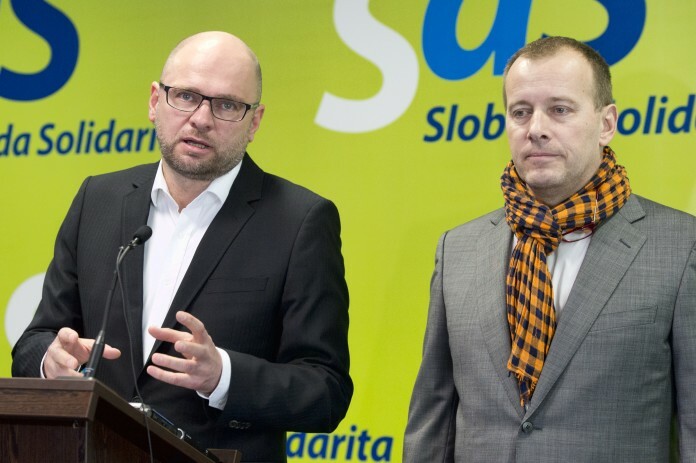 note], said Freedom and Solidarity (SaS) chairman Richard Sulik on Thursday after a meeting with We Are Family-Boris Kollar party leader Boris Kollar and Milan Krajniak from the same party at Liberal House, the SaS HQ. „This was the fourth informal discussion at Liberal House. It’s the last for now. I appreciate the factual and accommodating approach of Mr. Kollar and Milan Krajniak,“ said Sulik. „If we get a commission from President Andrej Kiska to form a government, we’ll also meet [Slovak National Party/SNS chairman] Andrej Danko. Then we’ll see whether there’ll be a coalition or not,“ said Sulik. 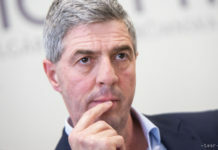 Despite the fact that Prime Minister Robert Fico said on Wednesday that the basis of a stable government can only be created with the participation of Smer-SD and SNS, Sulik is optimistic. „I’m working on us forming a government. The voters have decided that they don’t want Robert Fico’s government, and mainly they don’t want the oligarchs that are behind him. I consider it to be my duty to do everything possible for a new rightist government of decent people to be created, one that won’t steal as much,“ said Sulik. Kollar told Sulik that his party doesn’t have any interest in a ministry post, even though it should be entitled to two of these. „We’re willing to go into a coalition to protect our priorities,“ he said. Among Kollar’s priorities is an amnesty from property seizures, the cancellation of additional payments for medication and laws against „non-adaptable“ citizens. „There’s a couple of propositions that we’ll insist on, and I want to achieve that. I’m not going into politics to steal and to get a bone. I want to do it fairly,“ said Kollar.